Now in its tenth year, the Holt Festival in Norfolk will again play host this July to a rich and diverse programme of arts events and performance from the fields of theatre, music, comedy, literature, politics and fine art. 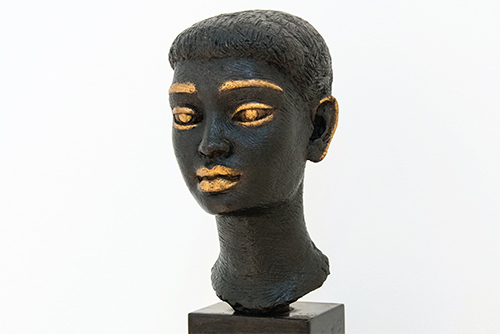 A particularly exciting feature of this year’s fine arts strand is the Festival Loan exhibition Head to Head featuring the work of Dora Gordine, Jacob Epstein, and other contemporary artists of the inter-war period, whose work was influenced by the ‘exotic’. Dorich House Museum is delighted to loan works for the exhibition, which takes place in Holt at St Andrew’s Church Meeting Room. Entry is free of charge and the exhibition is open from Saturday, 21 July to Sunday 29 July, 11.00 am to 5.00 pm daily, extending to 7.30 pm on Monday and Wednesday. On Friday 27 July Head to Head’s curator, James Glennie, will give a free talk about the exhibition at 11.00 am.